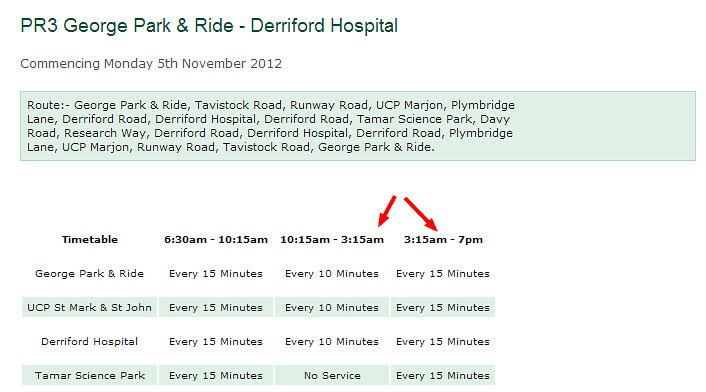 So you have an appointment at Derriford Hospital and you have heard that Target Travel operate the Park & Ride service. 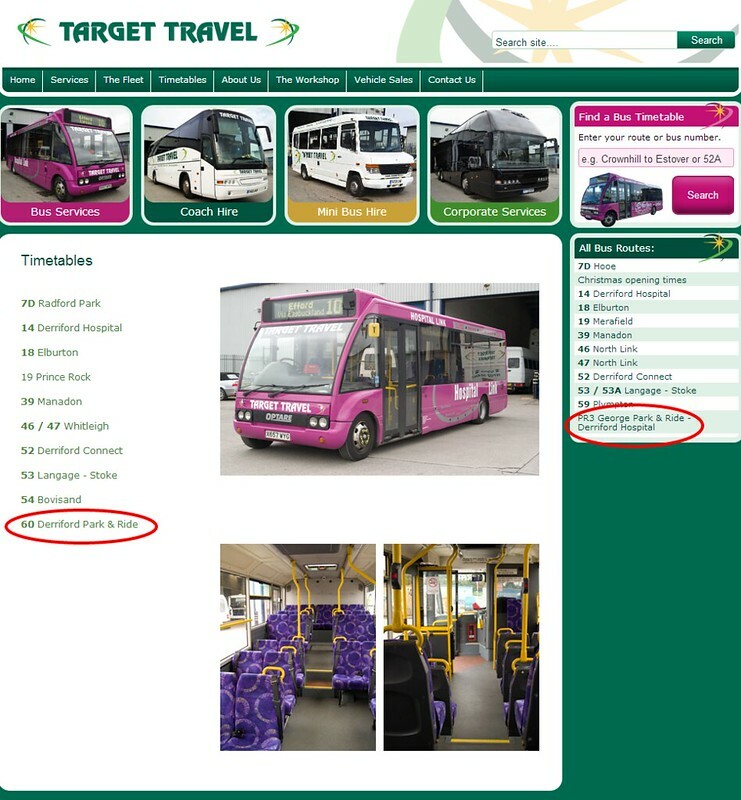 How about checking online for the timetable. You head to the Target Travel website. Finally you get to the timetable. Well I say timetable.. Very poor. Apart from the obvious typo the timetable tells you next to nothing. How long does it take you to get to Derriford from The George? Locals may know its pretty close but Derriford has a very large catchment area so many visitors wont have local knowledge. The route description can be a bit confusing if you dont understand how the route actually works. 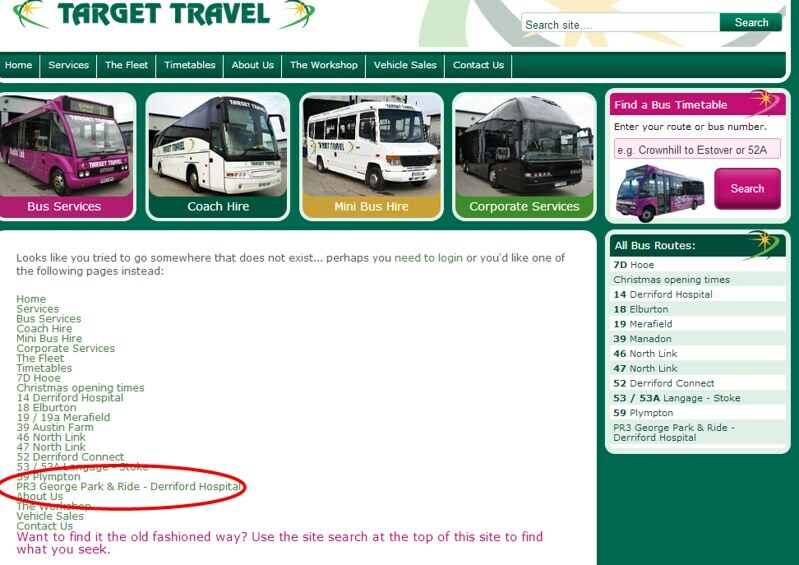 Of course you might try and find details using the Plymouth City Council web site. 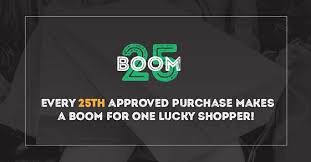 We will see tomorrow where that gets you! Targets Website is pathetic to be honest... and you don;t get any help from Emailing them I can tell you. If you phone they don't seem interested either!